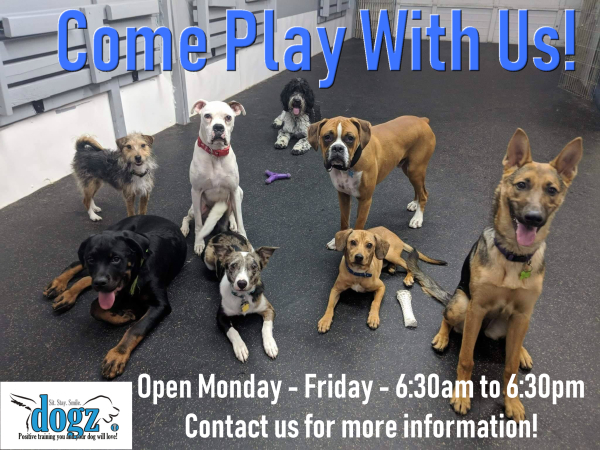 What makes daycare with Dogz so special? On your dogs first day I will evaluate their behavior and stress levels, making sure that they are comfortable while looking for any behaviors we may want to work with. 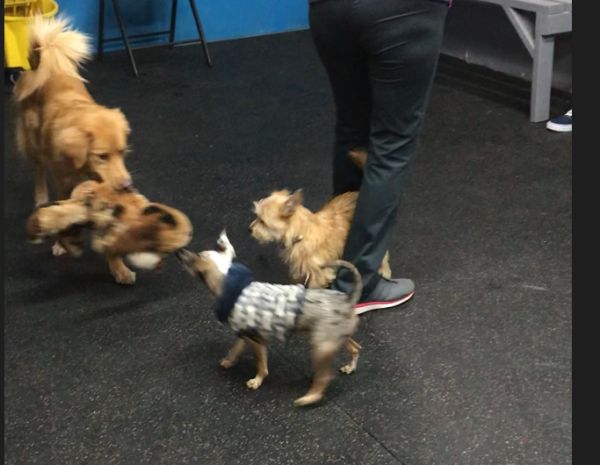 Play groups are kept to a max of 10 dogs. Small groups mean that dogs are better monitored and less likely to become overstimulated. As a trainer, I do my best to stay up to date on the most current and effective training methods. I am well versed in my knowledge and understanding of dog behavior. I can read and understand your dogs communication cues much more efficiently than your average daycare employee - reducing risk of injury. I guarantee that dogs get breaks as needed and keep an eye out for signs that your dog maybe overwhelmed, nervous or stressed to ensure that every visit is a positive experience. With toys, pools and friends, your dog will never be bored and will go home tired. 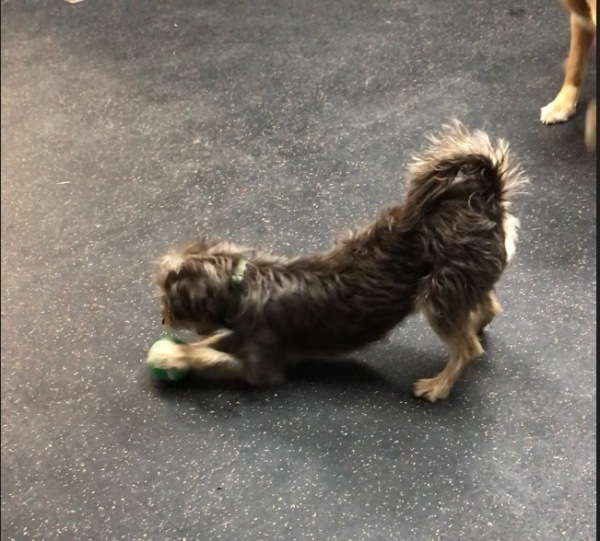 Small groups, evaluations and supervision of a trainer will keep your dogs safe and happy while having a blast. With toys, pools and friends, your dog will never be bored and will go home tired. Is your dog deaf and/or blind? Don't let that stop them from having fun! 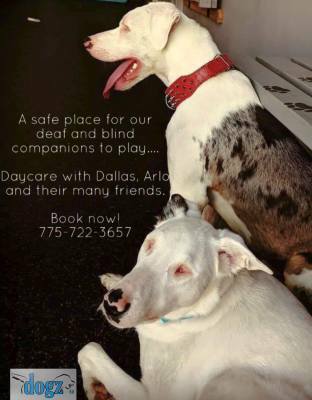 In our home we have a deaf and blind dog (of our own) who joins us at daycare and an additional deaf and blind client who comes every week. 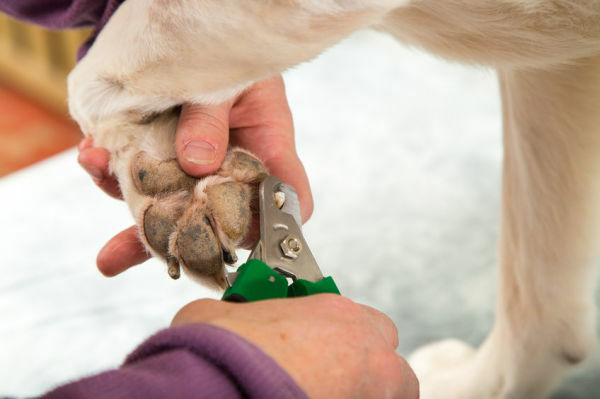 Kind and compassionate nail trimming with more grooming services to follow.